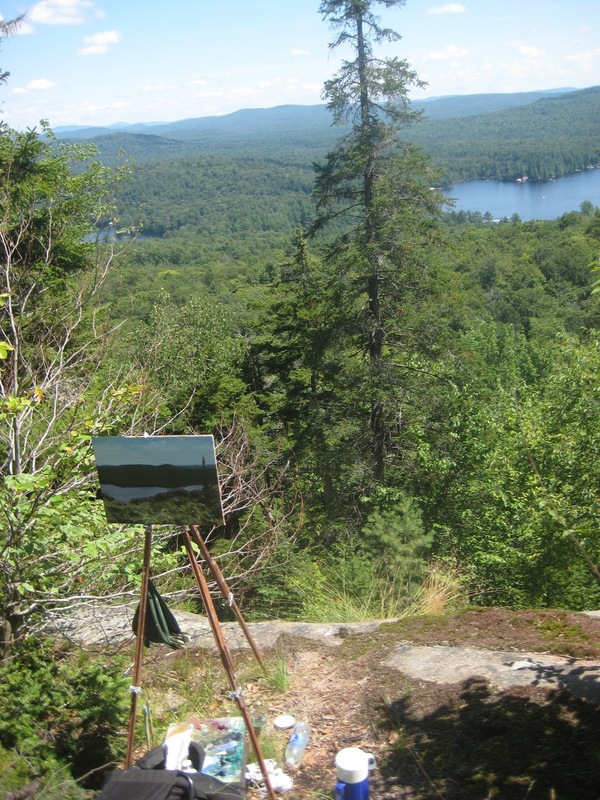 Matt Chinian Painting Blog: Adirondack painting week 3 More bald spots; Water, water! 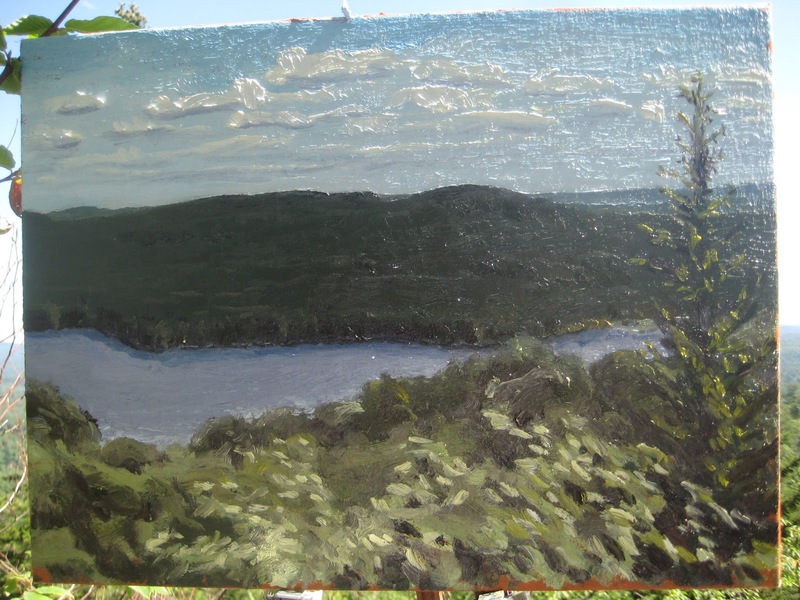 Adirondack painting week 3 More bald spots; Water, water! This week was hot to start, than it got cool. 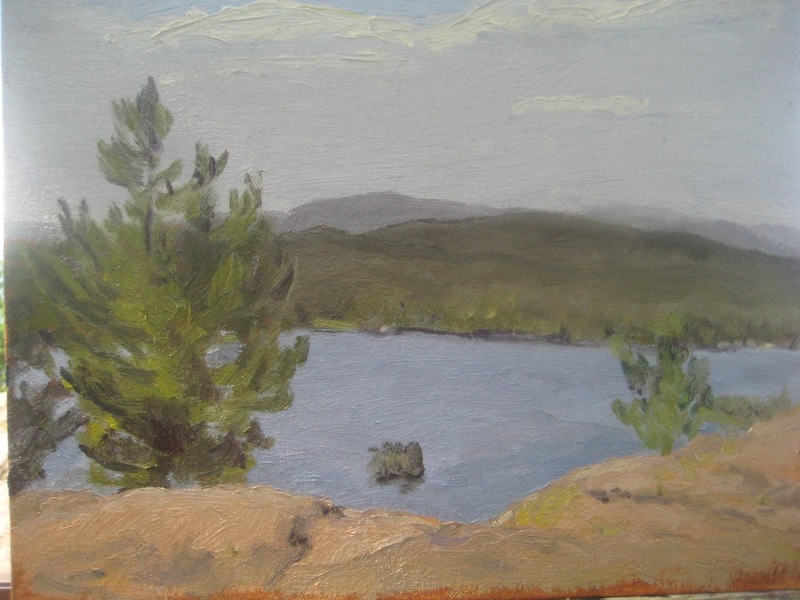 Here's the mostly finished painting from the top of Rocky Mt. in Eagle Bay, NY. It's a short hike with a good view of 4th Lake, I'm not sure what happened to the rock, it's way too pink and doesn't have the contrast that I think it needs. 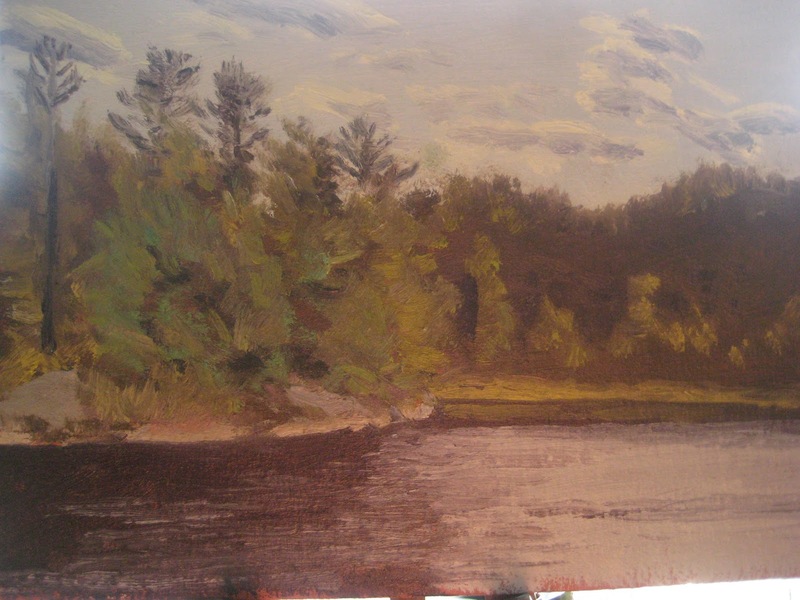 Back at the beaver pond, I liked the first painting I did here and wanted to see if I could do another, or course it came out different, not terrible but not as good as the last. Here it is, a bad photo, I had a tough time with the trees over the ridge line, I didn't want them too detailed, but too crude is how thery are here. I did work on them a bit back at camp, so all in all not a total wash. This is on Bald Mt. 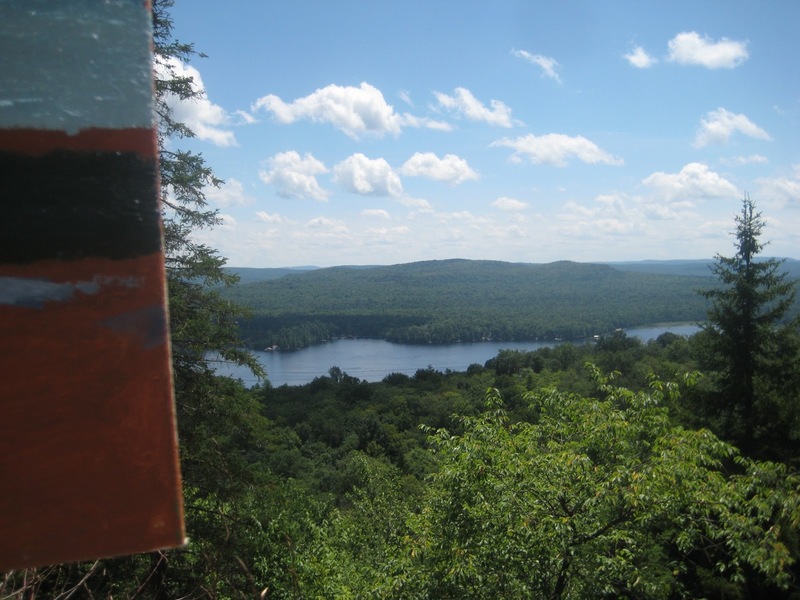 overlooking Old Forge, and 2nd Lake. It was Sunday early afternoon ant there were a lot of family hikers, so I found a relatively quiet spot. Another really bad photo, I'm here at the computer, at home for 2 hrs, while Emma takes a class! 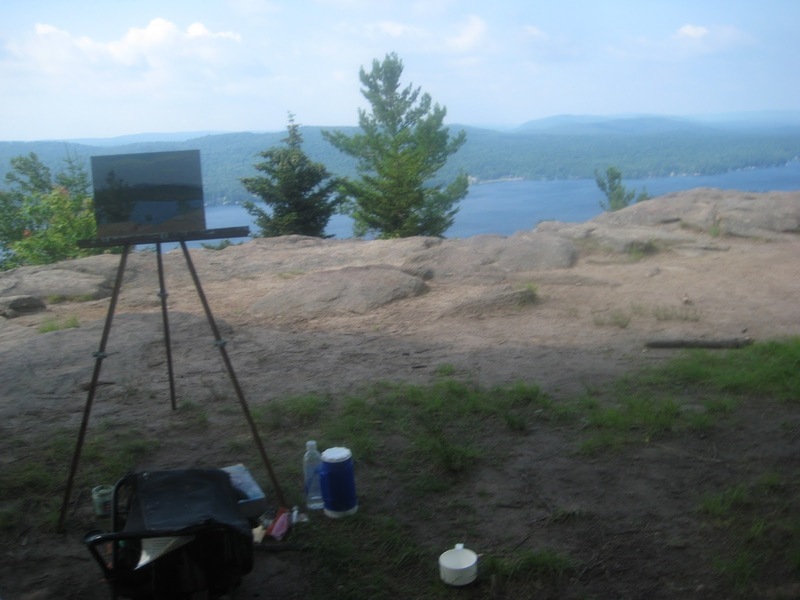 I'ts not as fun to blog in bulk like this but it's really fun to paint at the cabin, so bear with me on this and I promise to take and post decent photos when i get back! Again, I think I like the flourish of leaves in the foreground the best. 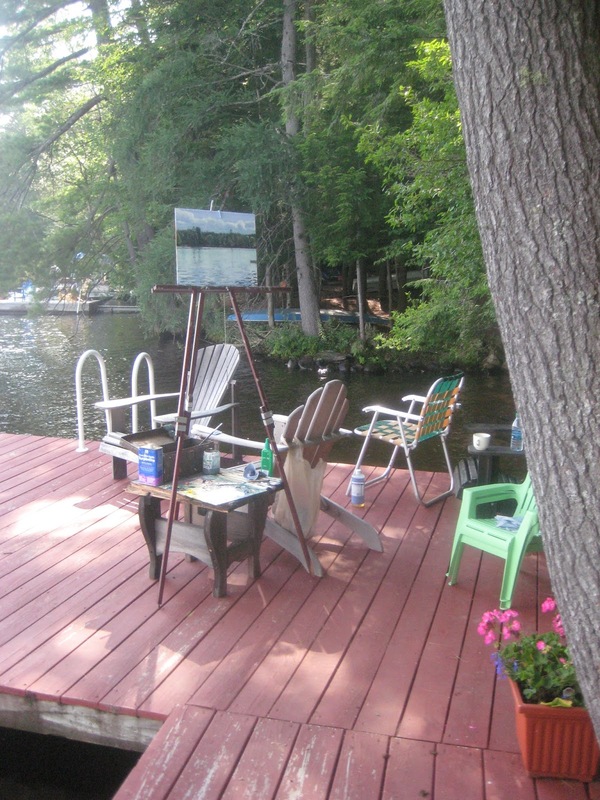 Here is the dock, it was Tuesday and working on water is another thing I feel I need to jump right into, sorry for the pun, It's also the place I can paint and watch the kids at the same time. 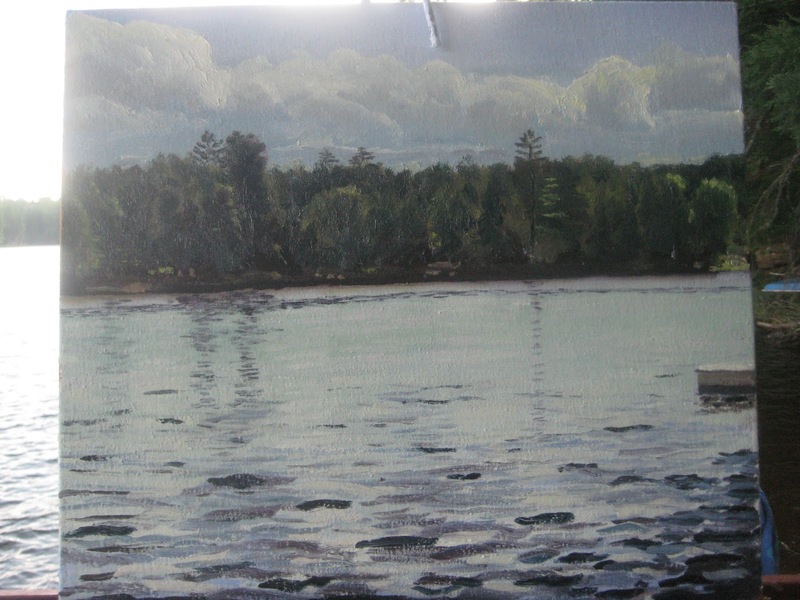 This is my best painting from the dock yet, so I think I'm making progress. 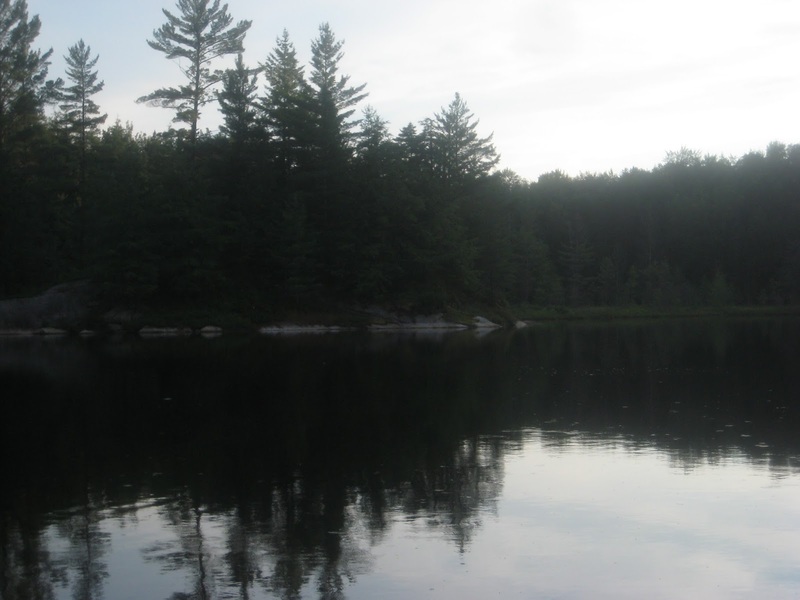 The water seems to change by the minute, and how do you remember any one incarnation of water?